This month’s bargain books list contains our recently marked-down titles in the following categories: biblical interpretation, devotional, Inklings & friends, ministry & Christian living, missions, preaching, reference, and Restoration Movement. The prices shown in this catalog reflect reductions of 20% to 50%. Our latest new arrivals catalog is now ready to browse! This catalog features the continuation of the beautiful, eclectic collection we began to list in the October new arrivals catalog- titles in theology, philosophy, intellectual history, nature studies, poetry, and more. 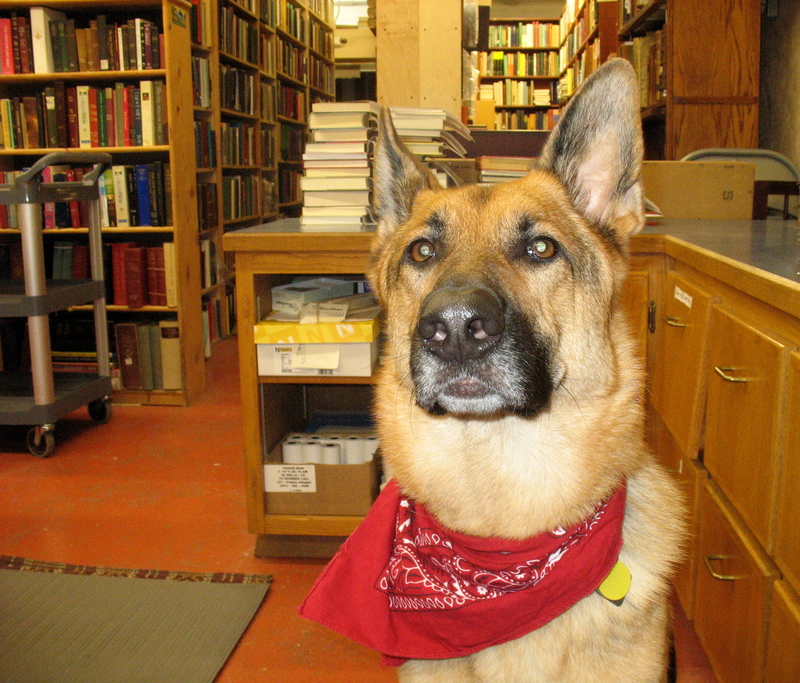 And for the fun of it, here’s a photo of bookstore dog Wendell Berry, sporting the latest in fall fashion.